Are you in search of data recovery software? Have you unintentionally deleted an important file? Do you need to recover your files and you need them fast? 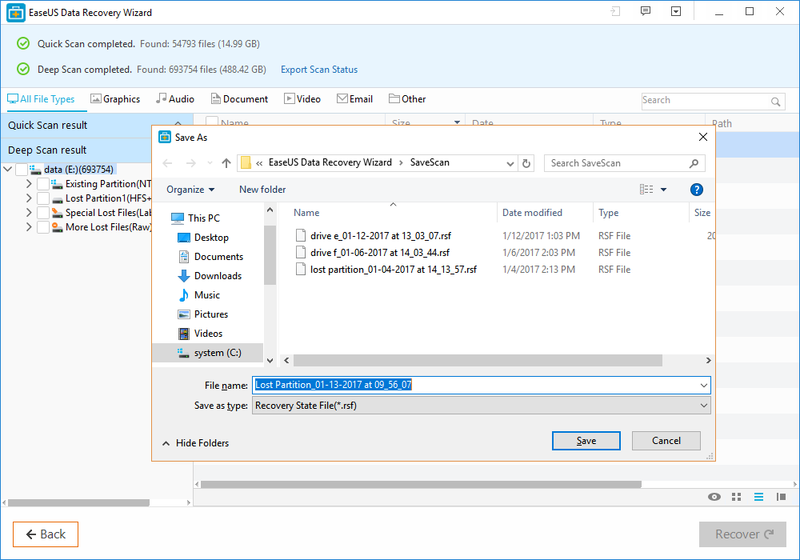 EaseUS Data Recovery Wizard Free is all you need to recover deleted files. Whether you’re trying to recover a music file from your memory or a work document from a formatted PC, laptop or removable devices, this free data recovery software will make the task ease. Did we mention it was free? You can recover all your lost files, formatted or deleted data using the free version with all the full features available. For data larger than 2GB, you’d have to upgrade to one of a premium plan. Step 1: Launch EaseUS Data Recovery Software Free: launch the program on your system, the recovery wizard will prompt you to choose a scanning option. Step 2: Select your preferred search option – that is, choose either to scan automatically or scan using file type. There’s also an option to ignore bad sectors. Start scanning. Step 3: Recover results: the recovered data will be displayed in a separate pane for preview – this allows you to see all the recovered files and select the ones you want. 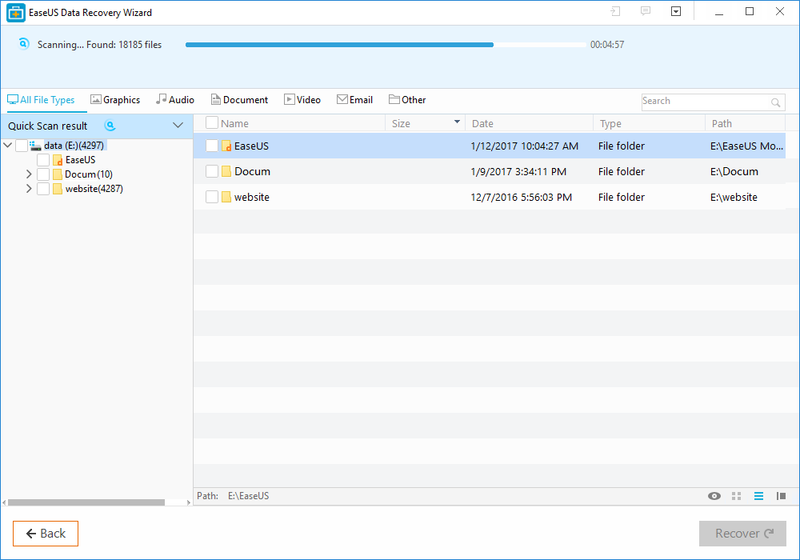 Step 4: Saving your recovered files: On the screen you would see a NEXT button, click on it and the wizard will open a new window. Choose the location to save you recovered data. Click on the link to view your files. You see, it’s quite easy right? A Quick Scan: are you in a hurry and need the data recovered super-fast? This feature allows you to scan and recover your lost files easily and fast. Deep Scan ability: If you have more time on your hands and need a more detailed and more précised recovered files, then a deep scan is what you need. It is Compatible with all File System: do you use NTFES/ NTFES5 file system? No problem, do you use FAT12, FAT16, or FAT32 file systems? 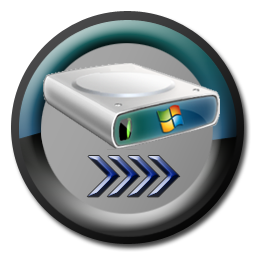 No problem too – EaseUS Data Recovery Wizard Free is compatible with all file system so you have nothing to worry about. Other file system include: exFAT, HFS+, and EXT2/EXT3. 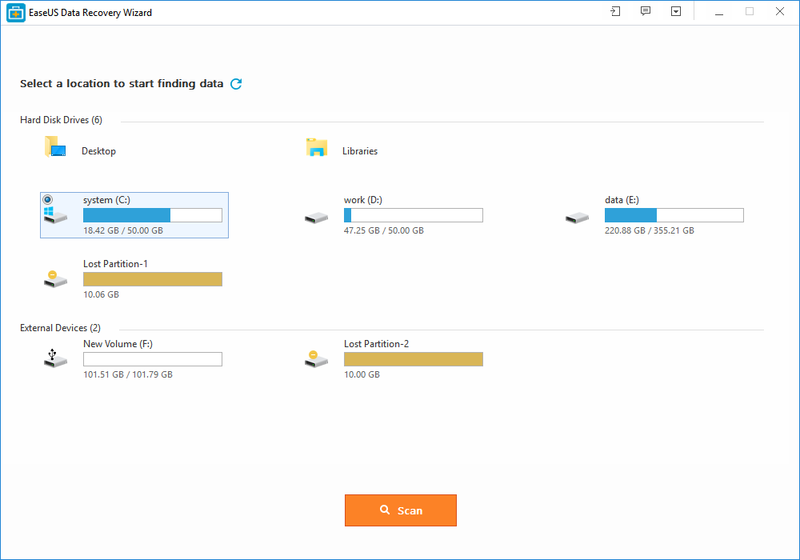 It is Compatible with all Windows versions: No matter the version of windows OS you’re running on your system – EaseUS Data Recovery Wizard is able to recover your files from them. Whether it’s a windows 2000, XP, 2013, Vista, 2008, 7, 8 and 10 – be rest assured this free data recovery software has you covered. Recovers Data from all Storage Media: This recovery software is capable of recovering your deleted files from any type of storage media such as USB, Scandisk memory cards, or from other media like SATA, SCSI, IDE/ATA, FireWire (IEEE1394), floppy disks, digital cameras etc. 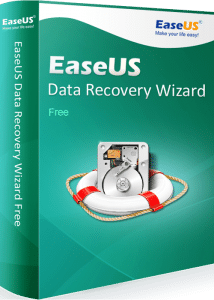 With EaseUS Data Recovery Wizard Free you can recover deleted files with ease and fast. So when next you have a need to recover a lost data use this free software.